Frank Smith is a botanist and the principal of Western Ecological Services. 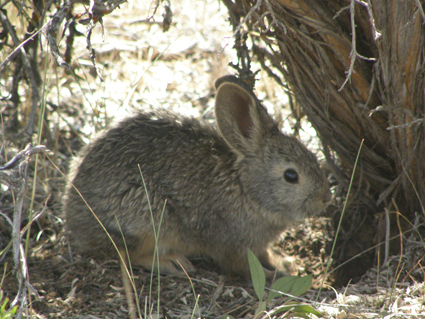 He has conducted rare plant and vegetation monitoring inventories in Arizona, California, Colorado, Idaho, Kansas, Nevada, New Mexico, Oklahoma, Oregon, Texas, Utah, Washington, and Wyoming. Mr. Smith has also traveled to Armenia and South Africa to conduct vegetation studies. Mr. Smith is also skilled in conducting field wildlife studies. Frank Smith has discovered nine new taxa. Pictured here is Viola frank-smithii (common name Frank-Smith's violet). 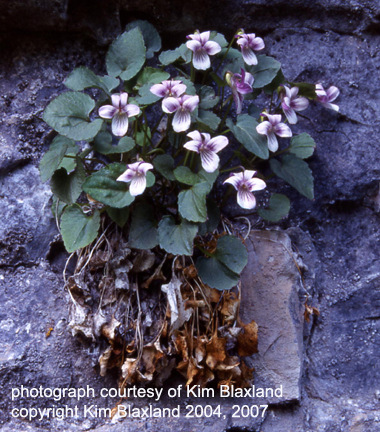 This violet is endemic to Logan Canyon, in northern Utah, where it grows on dolomite walls between 5,000 and 6,000 feet elevation. It flowers in early June. Current Knowledge and Conservation Status of Astragalus oophorus var. clokeyanus Barneby (Fabaceae), the Clokey eggvetch, by Frank J. Smith, December 2001, updated March 2002: Text, Figures, Global Distribution, Correspondence (excluded are tables and maps). Frank Smith, Western Ecological Services, Inc.